This lovely silk wrap necklace/bracelet started out with a beautiful mocha/vanilla cream colored silk ribbon, measuring approx 42 inches. It was then decked out with gorgeous European beads in shades of mocha, tan, vanilla...with some bejeweled rondelles added for sparkle. 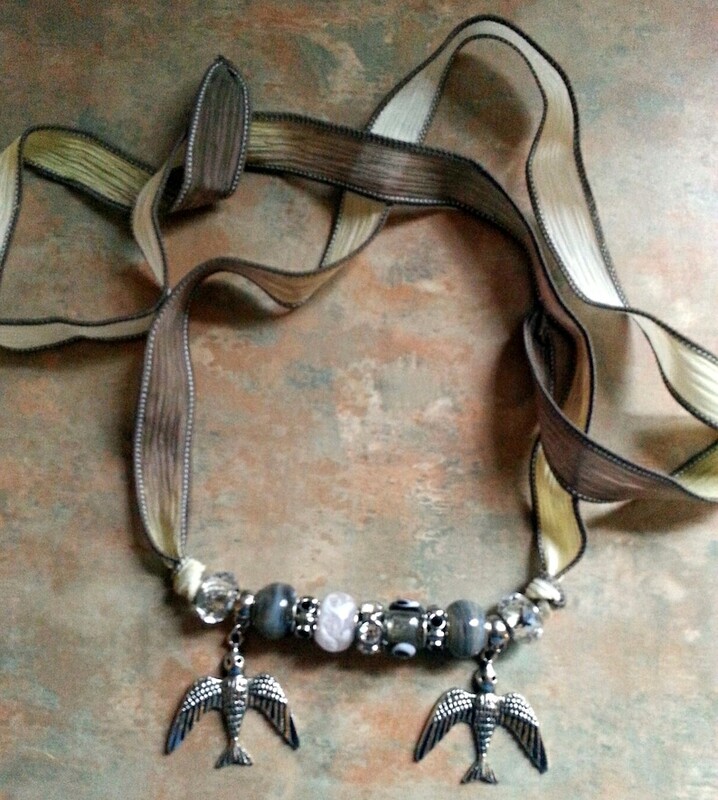 There are also two bird/swallow charms hanging from each side to set this piece off. Bird lovers....here is that special piece for you!